The Public Relations Association of Louisiana New Orleans Chapter (PRAL Nola) recognized outstanding work in the field of public relations through its 2nd Annual Flambeaux Awards program last night at Lula Distillery. The awards program honors individual professionals, campaign work and student work. The entries are judged on their individual merit by nationwide PR practitioners. The Flambeaux awards program offers a trio of awards recognizing individual PR practitioners along with two levels of recognition for campaigns and student work – a Certificate of Merit and a Flambeaux Award. New this year, the program honored a Trailblazer of the Year chosen on his/her merit in the industry by the PRAL Nola Board. This year’s Trailblazer Award was given to WWL Anchor Sheeba Turk. Managing Supervisor Camille Rome was awarded a certificate of merit for Bond Moroch’s work for the re-opening of the Nora Navra Library. Bond Moroch was hired by the Friends of the Public Library to help announce the grand reopening of the historic library in the 7th Ward. The Nora Navra branch was the last of the libraries in the Greater New Orleans area to reopen after receiving significant damage from Hurricane Katrina that forced its closure for more than a decade. In all, Bond helped secure more than 50 media stories in a variety of local and trade media outlets (not including all AP pickup)—both promoting the grand opening event and showing post-event successes. The library estimated more than 300 people attended its free grand opening events over the two-day period, surpassing their goal. City Librarian Charles Brown also conducted several interviews for trade media and local TV to announce the grand opening. 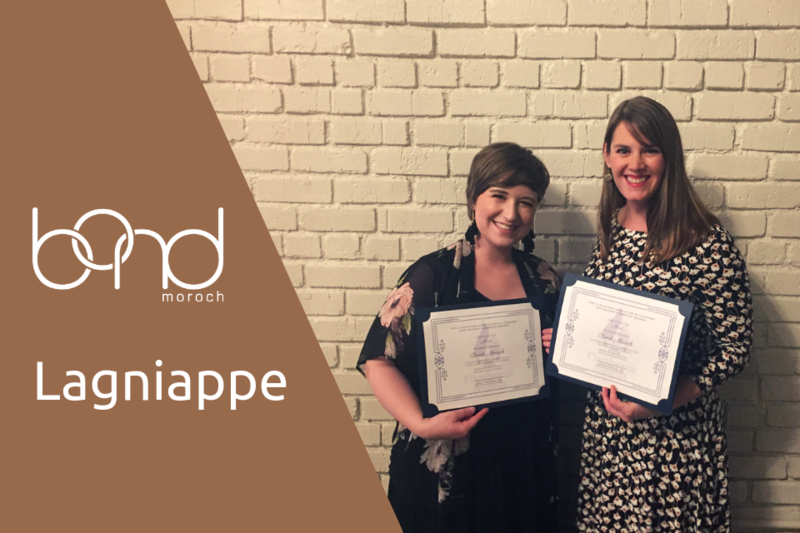 Digital Media Manager Allison Staub was also awarded a certificate of merit on behalf of Bond Moroch’s social media work for the Poydras Corridor Sculpture Exhibition presented by the Helis Foundation. The exhibition was founded in 2013 as an initiative of non-profit organization, Sculpture for New Orleans, and has quickly become the South’s leading rotating public sculpture exhibition. Bond Moroch was tasked with increasing the Poydras Corridor’s following and impressions on Instagram during 2018, using a new content strategy contextualizing the public sculptures on display through artist statements and historical documents. Over the course of the year, the Poydras Corridor Sculpture Exhibition saw significant growth in impressions and followers thanks to our new content strategy, with a 14% increase in followers and a 486.8% increase in impressions. We are so proud of the great work Bond Moroch does for our clients and congratulate our team on their achievements!